The Short Version: Since 1956, the Mai-Kai restaurant has served American and Cantonese-inspired dishes and drinks while entertaining guests with its legendary tiki show. 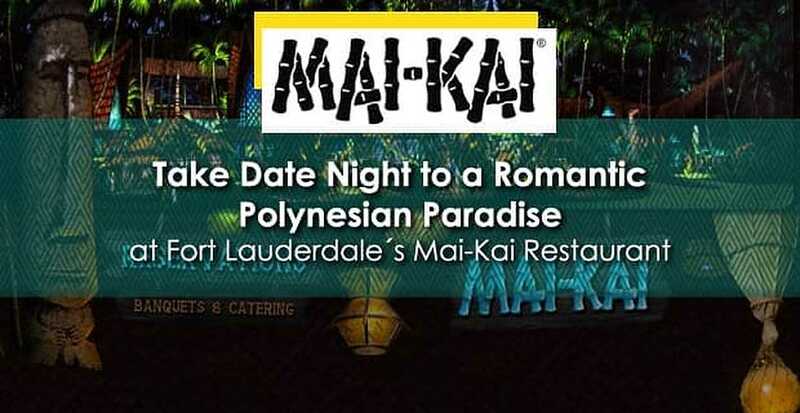 The Mai-Kai remains a favorite with both locals and tourists visiting the Fort Lauderdale, Florida, area for its exotic ambiance, inspired fare, and romance-inducing waterfalls, lagoons, and tropical gardens. Over the years, people from all over the country have visited the Mai-Kai to celebrate engagements, anniversaries, birthdays as well as to breathe new life into date nights. If you’re looking for exquisite dining with a lively floor show, reserve a table in one of the unique, lush dining rooms at the Mai-Kai. Since opening in 1956, the Mai-Kai restaurant has been considered one of South Florida´s most unique and captivating dining and entertainment destinations. The Mai-Kai authentically recreates a Polynesian village with tiki torches, a wooden plank bridge entrance, and lush tropical gardens. “The Mai-Kai features a large collection of museum quality Oceanic artifacts — tiki carvings and masks — that were collected in the 1950s and 1960s and have become a draw for many collectors and students to see,” Mai-Kai Manager Kern Mattei said about the restaurant’s decor. The Mai-Kai has been a destination for couples since opening in 1956. The Mai-Kai is still run by the same family who opened it over 60 years ago, and it’s been voted “Best Tiki Bar in America” by Coastal Living Magazine — in addition to other accolades in Islands Magazine and at Critiki.com. In 2014, the Mai-Kai was even added to the National Register of Historic Places. Diners are drawn to this South Florida staple for its mouthwatering cuisine. From the moment you open the menu, you’ll find plenty to talk about with your date; namely how to decide what to choose from the restaurant’s expansive offerings. Should you try the Oysters Rockefeller (oysters shucked and baked with fresh spinach and aged Parmesan) or get the Canoe Appetizer (baby back ribs, tuna poke, and shrimp tempura roll) that’s perfect for two? You could also choose both, but that’s only the beginning of the decadence. The Mai-Kai is also well-known for its inventive and potent adult beverages. The restaurant takes a unique — and responsible — approach to its tropical drinks. Diners can choose the strength of their cocktail by adhering to the menu’s categorical listings: non-alcoholic, mild, medium, and strong. Rum enthusiasts will love the array of more than 40 rum-infused cocktails. Try the owner’s favorite, Black Magic, or the favorite of countless reviewers on TripAdvisor, the Zombie. Couples are also encouraged to enjoy some after-dinner conversation with tropical drinks, like the light Gardenia Lei for an icy finish or the Mai-Kai’s famous Kona Coffee Grog with coffee, rum, honey cream, and spices, which is set ablaze tableside giving your evening a memorable finish. Then just sit back and enjoy the tiki show as you sip on your drinks. Each year, Mireille Thornton, the Mai-Kai’s owner and choreographer, creates new interpretations of village life in the South Pacific to keep the shows fresh and dynamic. This year’s show boasts more musicians, drums, and brightly colored costumes that light up the stage. The detailed costumes are hand-sewn and reflect the spirit of the South Seas. All of these elements combine to communicate the culture of the Polynesian people during the turn of the 20th century. The show is meant to be enthralling for all ages, and, since Mireille produces new interpretations each year, guests can have a new experience each time they visit. 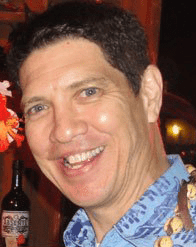 People love the Mai-Kai, and it shows in independent online reviews of the unique entertainment venue. David Weiser enjoyed every facet of his visit, and said the food, drinks, and show were highlights. “The food was delicious, and we sampled a lot. The tropical drinks are potent if you want them to be (you can order tiki drinks in a range of alcoholic strengths). But it’s the improvements in the show that really impressed me,” David said. “This culturally sensitive piece now identifies and differentiates the dances and cultures of an array of pan-Pacific islands. The cast of dancers and musicians are extremely talented and come from all over the world. The climactic fire dance is truly thrilling.” It’s little touches like those that David mentions that make a date night at Mai-Kai so memorable. The staff cares about guests and takes pride in every detail, from the tropical flowers to the presentation of the food to the carefully constructed costumes of the dancers. It’s a big reason why people return. 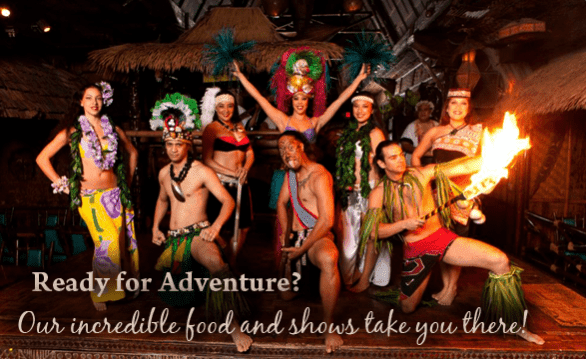 So put on your Sunday best (the restaurant does have a dress code), make a reservation, and treat someone special to a fun night of fire dancers, island fare, and plenty of festive umbrella drinks at the Mai-Kai in Fort Lauderdale.